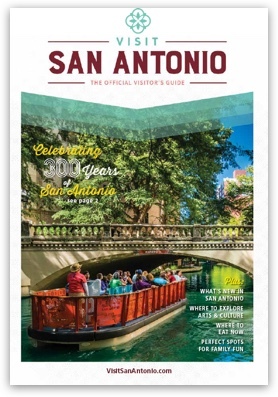 Stroll, shop and dine along the winding path of the River Walk for a uniquely San Antonio experience. On the river, there’s something for everyone. Come experience what’s old and explore what’s new. Sightseeing, shopping, food and fun. All on a world-renowned 15-mile urban waterway. The River Walk, or Paseo del Rio, is a San Antonio treasure and the largest urban ecosystem in the nation. Tucked quietly below street level and only steps from the Alamo, it provides a serene and pleasant way to navigate the city. Explore by foot along the river’s walking path or jump aboard a river barge for a ride and guided tour. In the heart of downtown, explore nearby attractions like the Alamo, the King William Historic District and more. Or, shop local favorites along the river’s Museum Reach at the historic Pearl. While at Pearl, dine and drink al fresco at our local food hall, The Bottling Dept. Further south, immerse yourself in history at our UNESCO World Heritage Site, the San Antonio Missions, along the Mission Reach. There’s so much to do, see, eat and explore along the river. Join us. And, come see what we mean. How do I get to the River Walk from street level? Admission to the River Walk is free.